An Australian politician has been caught in a terrible Twitter scandal. But unlike American political scandals, this one has nothing to do with him wagging his doodle at young women a la Anthony Weiner. Instead, the politician got caught fave-ing a pro-human rights tweet. This was seen as a big no-no by his government since it involved China, Australia’s largest trade partner. But much like American Twitter scandals, the politician is claiming he was hacked. Scott Morrison, the Australian Liberal Party’s Treasurer, recently faved (or “liked” if you prefer) a tweet that linked out to an article about China’s human rights record. The article in The Conversation, titled “Turnbull’s visit presents an important opportunity to press China on human rights,” describes the Australian Prime Minister Malcolm Turnbull’s upcoming visit to China. Turnbull can and should urge China’s government to stop unlawfully abducting Chinese citizens and others beyond its borders and end the unprecedented attack on civil society. He should publicly call on the government to lift restrictions on the internet and end the state’s persecution of bloggers for free speech. 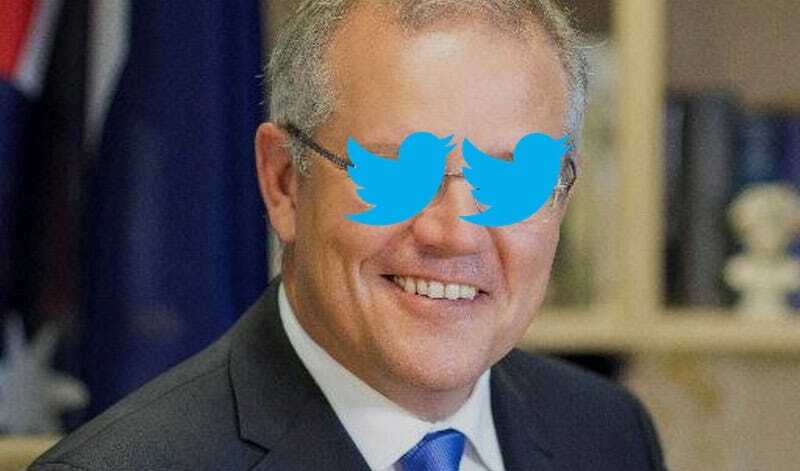 Morrison took to Twitter to insinuate that his account was hacked. Or, at least, “accessed by someone unauthorised to do so,” whatever that means. “We’re investigating. There was absolutely no intention behind it,” a spokesperson for Morrison told Buzzfeed Australia. Are faves endorsements? Apparently in Australia they are. And judging by a recent defamation ruling against a newspaper involving another Liberal Party member, Joe Hockey, free speech isn’t exactly alive and well down under either. The court ruled against Fairfax Media because of a tweet implying that the former Treasurer was “for sale,” because he held fundraiser events. Hockey objected to the tweet and was awarded $200,000 in damages. Notably, Australia is the only Western democracy that doesn’t have some constitutional guarantee of free speech. Maybe Fairfax Media should’ve claimed they were hacked.